Kampung Senang is an eco-conscious charity with IPC status reaching out to serve all people regardless of cultural or religious background through compassion-filled charity programs and education on holistic environmentally friendly lifestyles. We are dedicated to the protection of life and our planet. 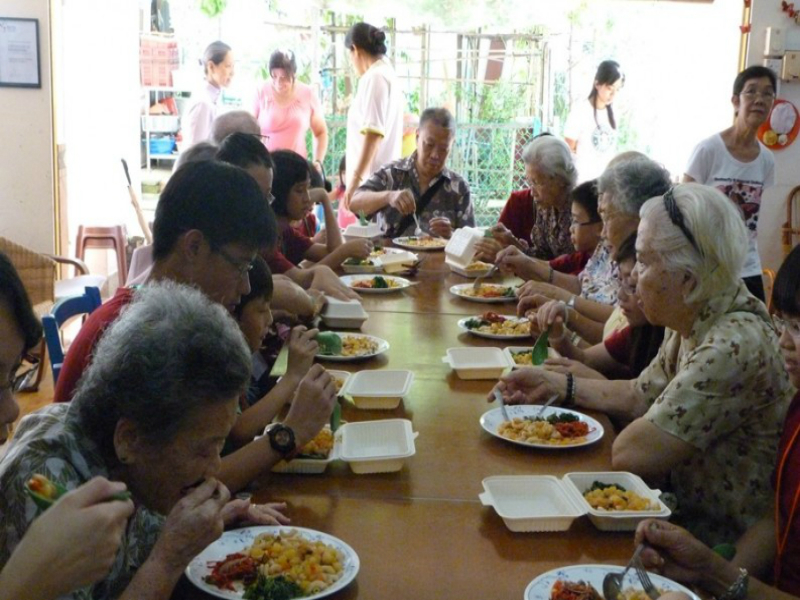 Kampung Senang was established in March 1999 by Joyce Lye, James Low, Dr Swee Yong Peng and their like-minded friends in response to the aging community and the urgent need to reverse global warming. A world which expresses the essence of Kampung Senang – the Village of Inner Peace: a world where harmony, beauty and unity prevails, where people are inspired to act with gratitude, respect and unconditional love towards life and nature. Level One: We value inner harmony and cultivate joy and harmony within our mind, body and soul consciousness. Level Two: We value harmony within all our relationships so we can act in sincere gratitude, respect and unconditional love towards each other. Level Three: We value harmony with Mother Nature who nurtures life on earth unconditionally. Our twin missions are caring for people and the environment. We aim to bring back the heart-warming spirit of the kampung, where mutual trust and care, regular bonding and sharing are part of our value and lifestyle. As our society ages and becomes more illness prone, we do our part to light up hopes for the elderly, needy and sick of all ages. We strive to promote wellbeing by inspiring people to take personal responsibility for their health and emotions and live a wholesome lifestyle. We nurture children through positive thoughts and by planting seeds of human values for a better world within their subconscious. We help raise the consciousness of children by teaching through examples so that they learn to handle the world with compassion and mindfulness as they mature into future leaders of the world. Humankind is an integral part of Mother Nature, so we need to take good care of Mother Nature. In doing so, we are taking care of Humankind. Earth is our only home; we cannot afford to defile it! We seek to impart ways of living in eco-harmony in daily life and in community service so as to maximise limited resources. TCM @ Block 840 Tampines Street 22Our volunteer homeopathists and Traditional Chinese Medicine physicians provide free medical check-ups, consultations, medications and acupuncture treatments to needy patients of all ages. Block 840 Tampines Street 22Our organic farm in Tampines produces chemical-free and pesticide-free organic fruits, vegetables and herbs which we supply to our Elderly Care and Student Care Centres. We sell our surplus produce to the public during our Weekend Marts. 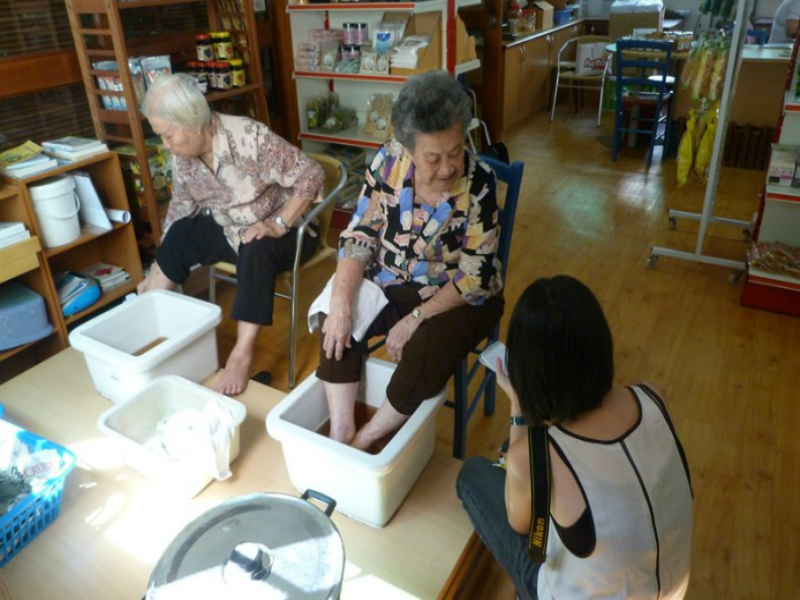 Block 254 Tampines Street 21We have a trained and dedicated team who repair and refurbish used and unwanted ambulatory aids such as wheel chairs, hospital beds, walking frames and other mobility aids. Medical social workers from our community partners, which includes hospitals, corporations and social enterprises, help us to loan out the recycled equipment to 1,800 needy families. The National Volunteer and Philanthropy Centre recognised this effort known as the Wheels of Hope project by awarding it the New Non-Profit Initiative Award in 2008. Block 106 Aljunied CrescentThe HLC promotes a healthy lifestyle to members, schools, corporations and the general public by conducting seminars, workshops, educational talks pertaining to holistic health and detoxification. The HLC also serves as a space for learning and healing for people affected by cancer. Cancer support services provided include: counselling, therapies such as energy healing, healthy food preparation classes, and specialized library facilities. The HLC also organises home visits, hospital visits, and home delivery of organic vegetables to immobilized patients. HLC’s Eco-Friendly Kitchen serves daily organic vegetarian meals and its organic shop sells healthy, organic, eco-friendly foods, equipment and books. 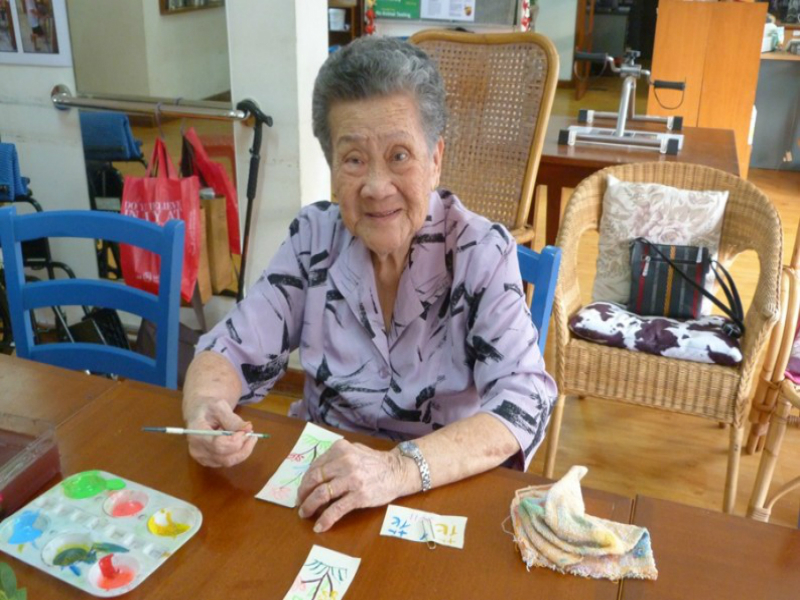 Kampung Senang pioneered Singapore’s first Waldorf-inspired kindergarten and childcare centre – the Whole Child Nurture Centre. WCNC espouses a holistic approach to the education of young children by emphasising character building and human values in its activities and programs. Children are provided with healthy organic vegetarian meals. Financial assistance programs are available to children of less privileged backgrounds or children whose parents have been struck by serious illnesses. Block 840, Tampines Street 22The Student Care Centre is an after school care centre for children of working parents. The SCC helps students balance their time between study and play while nurturing them with human values, creativity and sports. Weekly Intergenerational Bonding Sessions with the elderly provide our students with opportunities to develop important human and social skills. Block 254, Tampines Street 21The Neurofeedback Learning Centre uses the latest computer-based brain training technology to promote health. It helps children to improve behaviour and mental performance, and become more effective learners. Adults also benefit by being helped to cope better with stressful situations and chronic health issues brought on by stress. Click here for more info.